Continuing on with our story idea theme, Squiders, today we’ll be discussing pictures. There is a reason that they say a picture is worth a thousand words. Pictures can and often are a great way to find story ideas at any point in the process. You can use them for basically anything, from helping you flesh out the way a character or world works, to figuring out the tone or mood of a scene, to adding in a plot element you hadn’t previously thought about. Pictures can work in two ways: enhancing what you already have, or adding in new things. 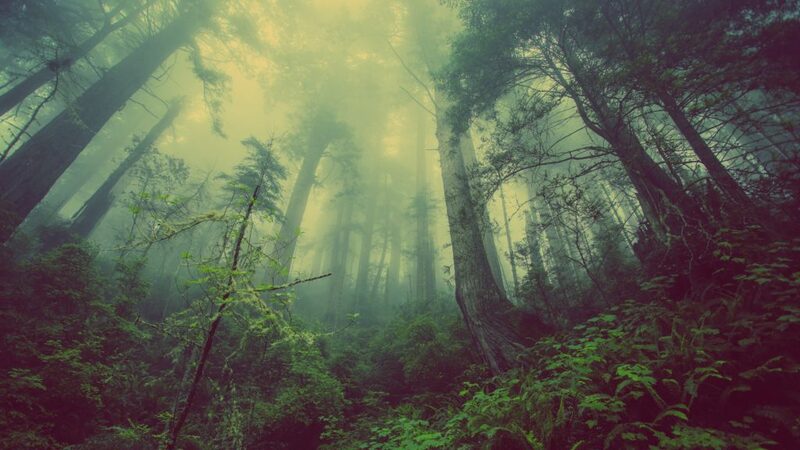 Sometimes you have a basic idea of something, like, for example, you know your story is set in a forest. A forest is a pretty basic setting, and you may feel that as long as you have trees and flowers and your standard forest-type creatures (deer, bears, squirrels) you’re good to go. 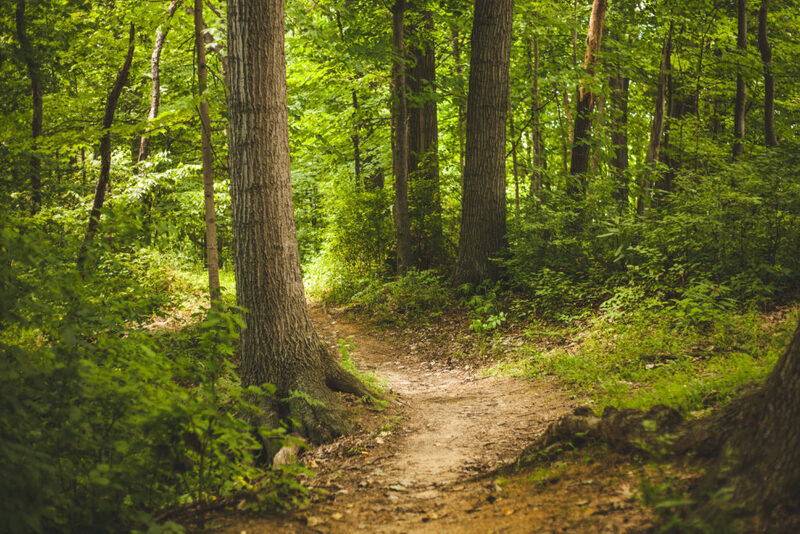 There’s a ton of different types of forests out there, and knowing what kind you’re using, using pictures to help you get a better idea of what you’re working, can make a world of difference in your prose. Many authors keep story-specific inspiration boards to help them use images to enhance their stories. They often include settings, characters, objects–or maybe just abstract images that remind them of a plot point or a theme. Pictures can also be helpful for adding in new elements or starting a new story. We talked about adding images to your story idea files previously, but you can also go through your file and see if any of the images you saved can fit into your current story if something is missing. If you can’t find anything you’ve already saved that works, you can always go looking. If you have a general idea what you’re looking for, you can also do a search on Google, Pinterest, deviantArt, or flickr. Otherwise, websites like Pinterest and deviantArt, if you’ve set up an account with them, will give you a “feed” of images, based on what’s popular and what you’ve previously shown an interest in, and sometimes scrolling through there can give you some useful images. Got anything to add, Squiders? Your favorite use for images in writing or your favorite place to find them? Today, Squiders, we’re going to jump into places to look for inspiration, either for specific purposes, to build up your story idea file(s), or just to troll around and see if anything catches your fancy. And what better place to start than a whole category whose sole purpose is to get those creative juices running? 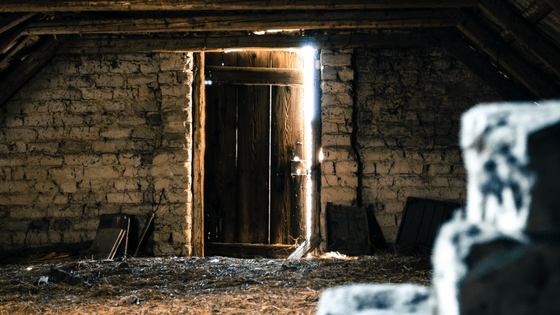 Story prompts are just that…prompts to get you writing a story. These are normally short, text-based prompts that offer a situation, an idea, a character, a first line to start from, a quote, etc. Write a scene where someone learns something about their best friend that they’ve never known. Write a scene about dancing. As you can see there’s a bit of a range in how they’re presented, so some will work better for you than others. Personally, I prefer ones that provide a bit of a story premise (like the one in the image, which I have pinned to my Writing Prompts Pinterest board). 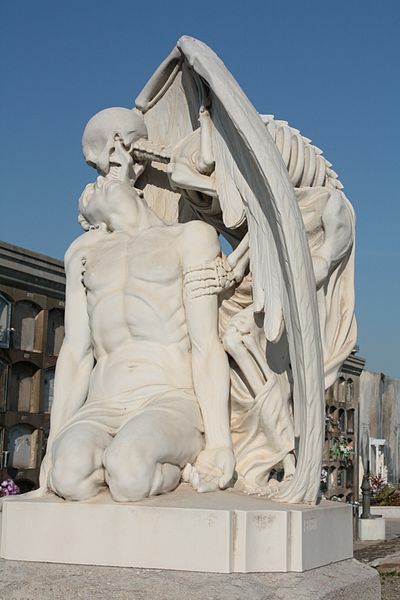 So where can you find story/writing prompts? Literally everywhere. Just googling “writing prompts” will net you tons of results, including ones for sites like Writer’s Digest. There are also several tumblrs, blogs, Pinterest boards, instagrams, insert social media of choice dedicated to writing prompts, so if you find one you like, you can follow it or favorite or whatever option is available on said media of choice. This can be helpful to make it easy to find again when you need it. Additionally, feel free to copy prompts that strike your fancy over into however you’re storing your story ideas, whether it’s a Word file or a Google doc or Scrivener or whatever you’ve chosen. As we talked about last time, it’s good to have everything in one place. So, personally, I would recommend only copying over the ones that you’re sure you want to write, because due to the sheer volume of writing prompts out there, you can quickly overload yourself. Writing prompts can be a good way to get started if you’re looking for a new story. They’re not terribly helpful for fleshing out one you already have, or for helping you fix holes in a story you’re currently writing. That’s not an absolute thing–nothing ever is–but if you’re looking for something to supplement an idea you’re already working on, elsewhere might be more effective. Writing prompts can also be useful if you want to get some practice in. I’ve seen authors set themselves a goal of writing a “drabble” a day (a drabble is technically a 100-word scene, but many people use the term for any short, informal type of writing) off of a series of prompts, just to make sure they’re getting some writing in regularly and practicing their craft. If you’re drabbling characters from a book or series of yours, this can sometimes be helpful for toying with fixes for problems you’re having in the larger story, or can provide inspiration for scenes or plot. What are your favorite kinds of writing prompts, Squiders? Favorite places to find them? Favorite use that I’ve left out? Good morning, Squiders! Today we’re jumping back into our nonfiction series on story idea generation. I was going to go over where to go looking for ideas, but it occurred to me that perhaps it would be best to talk about how to store your ideas so you can find them again later. What good are ideas if you lose them, right? It’s a good idea to have some sort of storage system for your ideas. Even if right now you feel like you have a lack of ideas, once you have a storage location, you may be surprised at how many ideas you really have floating around. NOTE: Some authors refer to their idea storage as their “Little Darlings Cafe,” so you may have heard that terminology before. Why do I want a storage system? An idea storage system helps you find ideas when you need them, whether you’re writing to a prompt (whether for practice, or for an anthology or other collaborative work), need something to give your current story more oomph, or just want to try something new. There’s no guarantee that you’ll remember whatever idea later when you need it otherwise. Additionally, having all your ideas in one place helps you find them later. I don’t know about you, but I tend to jot down ideas wherever I am–in the margins of notebooks, on manuscript pages, on whatever random scrap of paper I have lying around–which can be a pain to find later. (Which notebook was that in? What page was that?) With a central system, you never have to worry about forgetting where you wrote something down. And a central system doesn’t need to be just for words. In mine, I link to pictures, videos, news articles–whatever is core to the idea. How do I organize my storage system? That’s completely up to you. Everyone works a little differently. For example, in my main one, I just have a long, bulleted list of each idea. Some things are short, just a word or a phrase: “Underwater ancient ruins” or “train as portal.” Some things are long, whole plots written down. A lot of things have links attached, and others are copied word for word from the source, whether that’s a phrase I read in a magazine or a post on tumblr. I also have a secondary system on Pinterest. I like Pinterest for organization because you can set up separate boards really easily. There, I have two general inspiration boards (here and here) as well as boards for individual stories, which I’ve found can really help with tone and atmosphere. That’s what works for me. You may need to experiment a little to find what works best for you. You may find you need more organization, such as separating ideas for characters from ideas for plots. You may want subsections for different genres or stories. The important thing is that everything is where you can easily find it. How do I use my storage system? It helps to have an idea of what you want to write (length, genre) before going in, but even that’s not necessary. You may need additional information to round out a story from your saved ideas, but this will give you a good starting place and you should be able to find what else you need either just by letting the story percolate for a bit or by searching for specifics. You can use your storage system for anything. Need a plot? Check. Need a character? Check. Need a little extra oomph for your worldbuilding? Check. That’s why it can be helpful to write everything down, whether it’s a plot that’s not quite gelling to a character that doesn’t fit in your current story to just an off-hand phrase you heard on a television show that gave you a bit of a tingle. You never know when something will be useful, and there’s no harm in keeping something around. Questions about organizing or storing your ideas, Squiders? How do you keep track of your ideas? Happy Monday, Squiders! 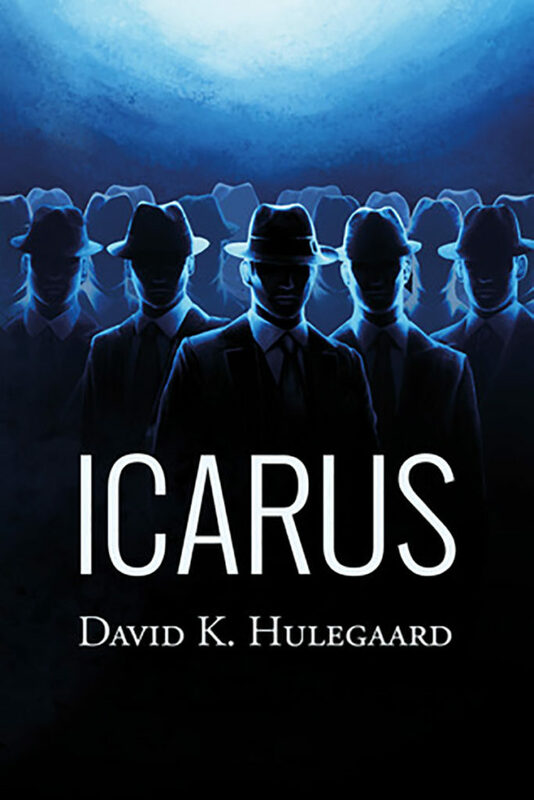 Today I’ve got Icarus by David K. Hulegaard for your potential enjoyment. It’s scifi noir. David will be giving away a $25 gift card during his review tour, entry for which you can find at the bottom of the post. Jessie stalled in the doorway, studying the parking lot. She turned her head left to right several times, conducting a sweep of the area. I get so waffle-y about these reviews. Anyway, in the end, I think I’d give this one a 3.5/5. I was going to say flat 3, but then I felt bad about being harsh, so there you are. There’s a lot of great things about this book. Miller’s point of view is interesting and he has an excellent amount of sass. The conspiracy at the heart of the story has a lot of cool elements to it. There’s Puckett. (♥ Puckett.) The just-post-WWII era works well for the story and the noir element in it. (That being said, do people do modern day noir? Cuz I wouldn’t mind reading some of that as well. Let me know if you know of any good ones.) The pacing is good, though there are occasional reader asides that don’t always pan out (for example, Miller notes that a reminder that he’s being followed is good, or he’d be dead before Baltimore, but then nothing happens between DC and Baltimore to warrant the note, and I kept expecting something to). The secondary and side characters are well-developed and read like real people. I really only had two problems with the book. The issue is that they really rubbed me the wrong way. The first is the prologue. It’s told from the POV of the girl Miller spends the rest of the book trying to find, and the voice is, well, it’s one of the most stereotypical teenage girl voices I’ve ever read. I could barely get through it, and was relieved when we switched into Miller’s point of view and I realized I would never have to read that point of view again. What’s weird, though, is this character is treated with much better handling throughout the rest of the book, and the prologue really doesn’t add anything to the story that doesn’t come out better elsewhere. I just don’t know why it’s there, and it almost stopped me from reading on. The other is that there is a textbook example of fridging. I won’t tell you who, but I will tell you that I really liked the character, and that it was obvious from the moment she walked onto the page that she was going to be fridged. So I spent a good part of the book going “You’d better not fridge her or I will be so mad,” and then when she was, of course, fridged, I was mad, as expected. I am still mad, because it didn’t really seem to do that much in the great scheme of the plot. Argh! Why! So, other than that, I liked the book. If you think you’d like a post-WWII noir with some supernatural elements, you might like it too. David previously worked at BioWare, a premiere video game development studio known for creating the popular Mass Effect and Dragon Age franchises. He now lives in the Victorian seaport town of Port Townsend, Washington with his wife Jennie, and their banana-obsessed Welsh Terrier Tobi. In his spare time, he enjoys video games, professional wrestling, and photography. David Hulegaard will be awarding a $25 Amazon/BN GC to a randomly drawn winner via rafflecopter during the tour. Okay, Squiders, I want to be able to do the idea generation posts in a row, so for today, I’m going to share various links that I’ve been hoarding that other people might find interesting. Monday I’ll have a review/promo for you, and Thursday is, in theory, the first discussion post for the Finnbranch readalong (though I will need to read faster than I am because I forgot when in June I set the discussion for). And then we’ll head back into nonfic territory. Does anyone else just find themselves on random email lists they don’t remember signing up for? That’s the deal with me and BookRiot, which is a website about books, mostly speculative fiction. But I dig their newsletter, so I don’t really mind that it seemingly came out of nowhere. I normally forget, but it’s never a bad idea to stop by sites like StoryBundle or Humble Bundle and see if you can get a ton of themed books for cheap. Normally they donate the money for a good cause. I don’t know about you guys, but I am terrible at conlanging and yet, since I write high fantasy, sometimes it is necessary. That’s why I’m super interested in Vulgar, which is a language generator. I haven’t given it a try yet, but you can do a demo on the website, and the full version is only $20. For people who like to have an idea of story structure before they go into a novel, you might try Michael Hague’s Six Stage Plot Structure. It’s the one Siri and I used for City of Hope and Ruin. You can find a good overview over at Fiction University (which is a useful website if you are not already familiar with it. If you have enough time to fit in some learning, I recommend checking out sites like SkillShare and Udemy. I’ve taken a few classes (mostly marketing related, but also ones about how to use email lists) and recently signed up for one focused more on traditional publishing. You can buy memberships or classes flat out, but I like that you can see reviews and curriculum before you shell out money. There are probably more websites out there that provide a similar function, but I haven’t tried them. Since I’ve been putting together submission materials for my YA paranormal (all ready now! Just need a healthy dose of getting on with it), I recently wrote a synopsis for it. This blog post proved invaluable and took a lot of the guesswork out of the process. I also recently found this website called Hometown Reads that connects readers to local authors. I haven’t signed up yet but it looks like a cool idea, and my city is one that they’ve already developed, so woot. Anyway, I hope you find some of these helpful! And let me know if you’ve found some place cool lately! First of all, squiders, I apologize for disappearing off the grid. Normally when I go out of town I pre-write and schedule the posts, but we took a spontaneous trip last week and I didn’t have time to get things ready before we left. So then I thought I’d just write them on the trip; surely I’d have some time in the evenings or the mornings to get things done. Also, one of the small, mobile ones broke her collarbone in the middle of the night in the middle of nowhere, so that was a thing. Anyway, diving into ideas. A lot of creative types seem to think that inspiration and ideas need to be organic, that you need to be walking down the street, minding your own business, and have the idea fall out of the sky into your head in a brilliant rush of creative energy, fully formed and ready to be used. Ah, if only that worked. And if only it worked on command, when you wanted/needed it to. And if only it was a complete, usable idea every time. Don’t get me wrong–when it happens, it’s great. And while how much inspiration you need varies on what your creative goals are, the fact of the matter is that if you wait for inspiration to strike from on high, you may find yourself lost and desperate, staring at a blank page with nothing coming. No creator is an island–everyone is influenced and draws from different sources they have been exposed to, both consciously and subconsciously. If you want to consistently put out new works, if you want to be reliable when someone asks you to contribute to an anthology or a collection, then there may be days when you need to go looking for ideas and inspiration rather than waiting for them to come to you. The other issue is that you might get an idea, but something is missing. You have a plot, but the main character is a blank. You have a character, but the world is nothing but mist. You have a basic outline, but the story is lacking in complexity. Being able to find things to flesh out your work, to make it better, is an asset in the long run. Being able to find an idea when necessary can be helpful for more than just a single work at a time–it can also improve your craft overall. Trying out new things can help your writing muscles to stretch and grow. It can help you add new aspects to your work so that not everything sounds the same. It can help you find ways to get around writer’s block and push your boundaries. Once you know how to look, you can find things you can use everywhere. You can train your brain. I get a little chill down my spine every time something catches the “muse’s” interest, something I’ve come to recognize over the years. And by keeping track of your ideas, you should be able to find something you can use, no matter what the situation is. Heck, I once wrote a murder mystery starring billiard balls at someone’s request. On Thursday we’ll start looking at places to find ideas as well as ways to organize what you have found so you can use it later. Questions, Squiders? Anything you’d like to add?